One of the questions we are asked most often at The Vein Institute is, "I'm pregnant (or thinking of getting pregnant) – will this increase my varicose vein risk?" Sadly, the answer to this question is "Yes." During pregnancy, your body increases the flow of blood that circulates through your body, to support the needs of a growing fetus. Unfortunately, this increases internal pressure within the veins themselves, and places additional pressure on the abdomen and lower pelvis. At the same time, levels of the hormones estrogen, progesterone, and Relaxin increase in the blood, which increase the ability of veins to expand. Finally, pregnancy is often accompanied by a reduction of physical activity due to weight gain and general discomfort, and inactivity increases your vein disease risk. As a result, 30 to 40% of women develop varicose veins during their first pregnancy, and 55% get them during successive pregnancies. Those don't sound like good odds…is there good news in all of this? Definitely. First, the swollen veins may be unattractive and may itch or ache occasionally, but in most cases you don't have to worry about them posing serious health risks to either yourself or your baby. That said, if you are pregnant and develop varicose veins, it is important to have them assessed by a Vein Doctor, especially if you have a family history of vein disease. 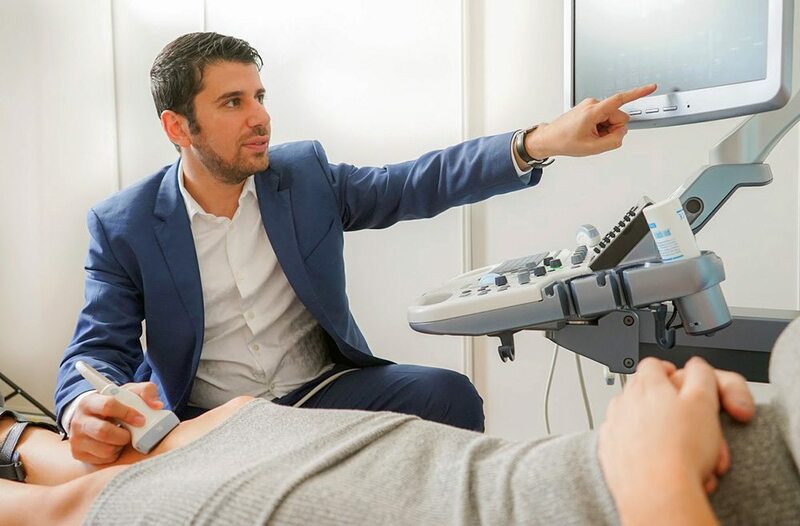 Varicose veins are a symptom of underlying conditions that can become worse if they are not treated, so your vein doctor can perform non-invasive ultrasound tests to make sure there is no danger of blood clots. Second, in many cases the varicose veins will go away within a few months of giving birth, so they won't become an ongoing problem. If they do persist, your vein doctor can suggest several modern, minimally invasive treatments to remove them. Contrary to now-outdated popular belief, you don't have to wait until you are finished having children to have your varicose veins treated and removed. In fact, doing so may be helpful in preventing varicose veins during future pregnancies. If I'm pregnant and already have varicose veins, what can I do? Exercising regularly. Yes, we know it's uncomfortable, especially as you gain weight, but even a brisk walk around the block can improve your circulation. Trying to avoid either standing or sitting for long periods of time. While sitting, try not to cross your legs or ankles. Watching your weight. Try to stay within the recommended weight range for your stage of pregnancy. Elevating your feet and legs to the level of your heart when possible. Asking your doctor about compression stockings, which can help to increase circulation and reduce tiredness in your legs. Don't be afraid to bring up any other concerns and to ask your specialist at The Vein Institute if they have additional tips. They can often recommend strategies that can help make your pregnancy more comfortable at the same time they lower your vein disease risk – both during the pregnancy and afterwards.